Sydney (AFP) – Former England batsman Graeme Hick and ex-Tasmania fast bowler Adam Griffith were on Friday drafted in to help Australia during their upcoming tour of the West Indies. Hick will act as assistant coach to Justin Langer, who will be in charge for the series while Darren Lehmann has a break, while Griffith replaces Craig McDermott who has stepped down. Head coach Lehmann said both would be a great help to Langer, the former Australia opener and now highly regarded coach of Western Australia. 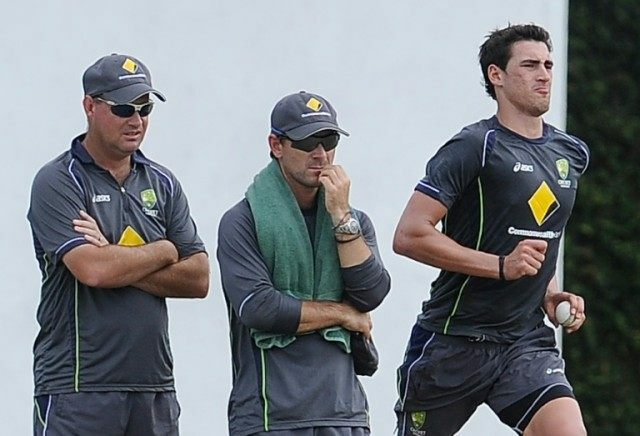 Hick has worked with Australia’s National Cricket Centre for the past three years, focusing on young players coming through the academy, while Griffith is the WA bowling coach. “West Australia have some talented young fast-bowlers that have developed under Adam’s watch and it’s great to be able to offer him the chance to work with the Australian side under Justin Langer,” said Lehmann. Australia begin the tri-series, which also features South Africa, in Guyana on June 6.